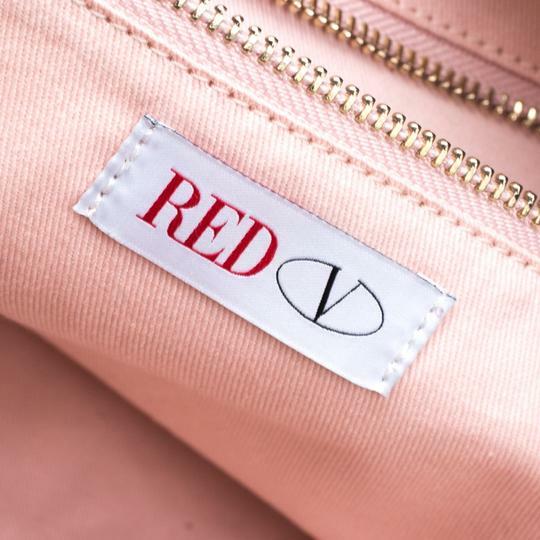 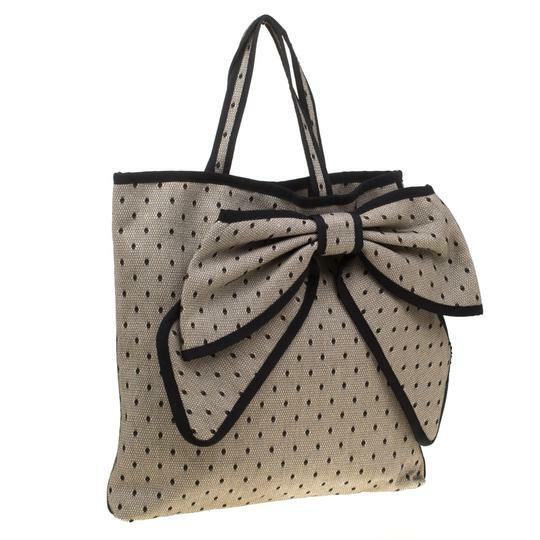 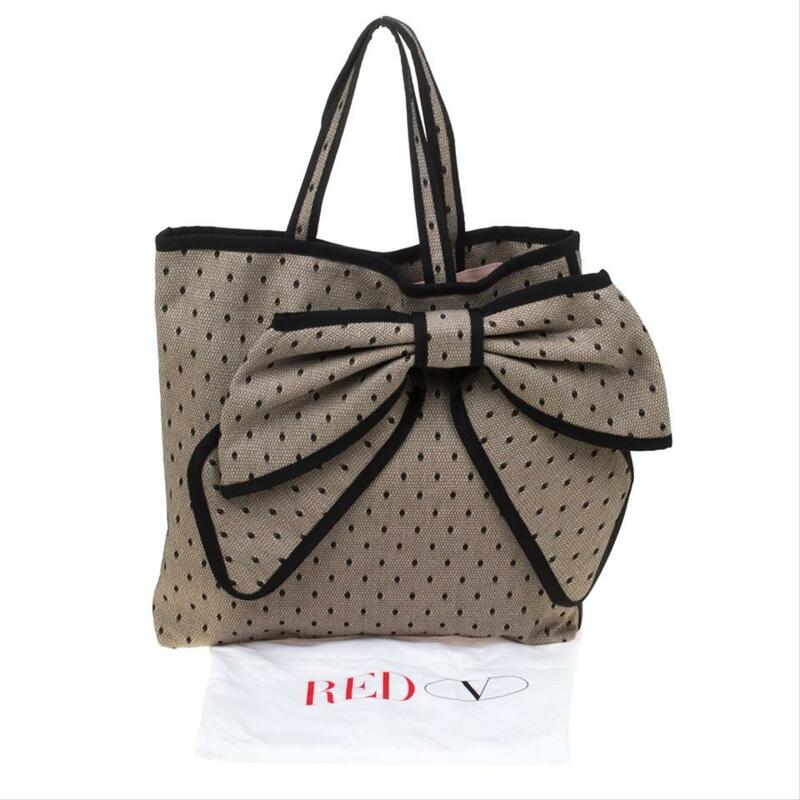 Make a stunning appearance by adorning this tote from RED Valentino. 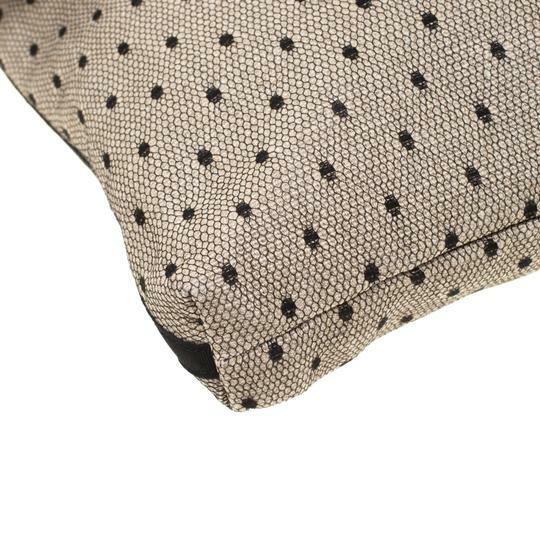 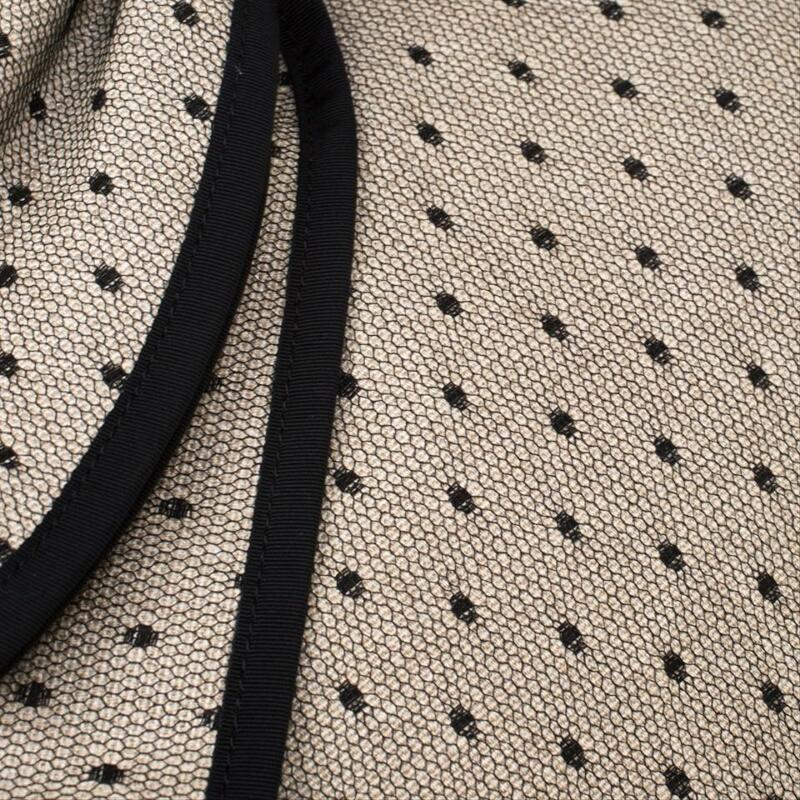 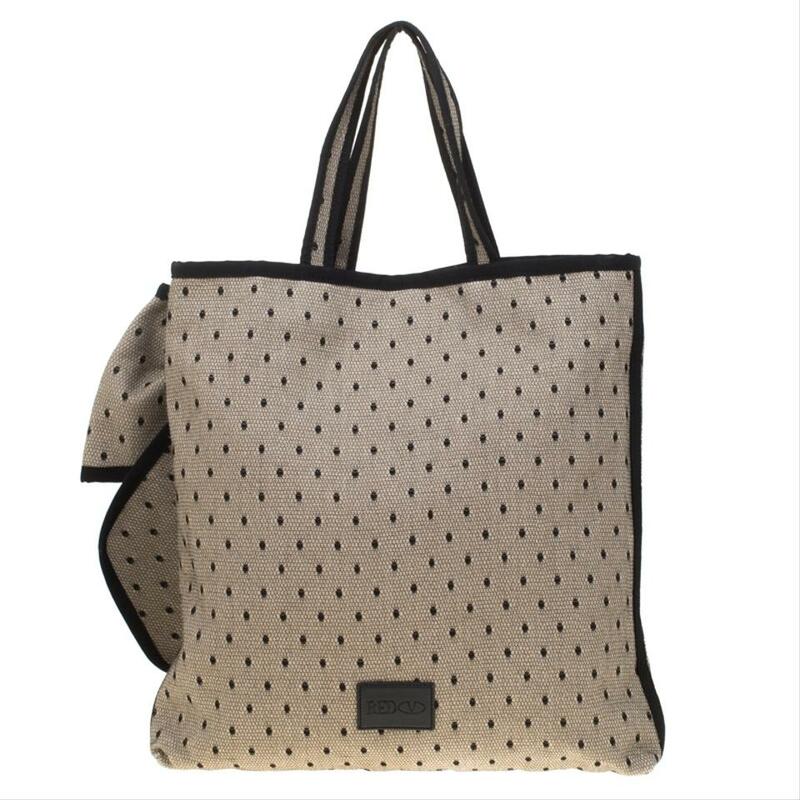 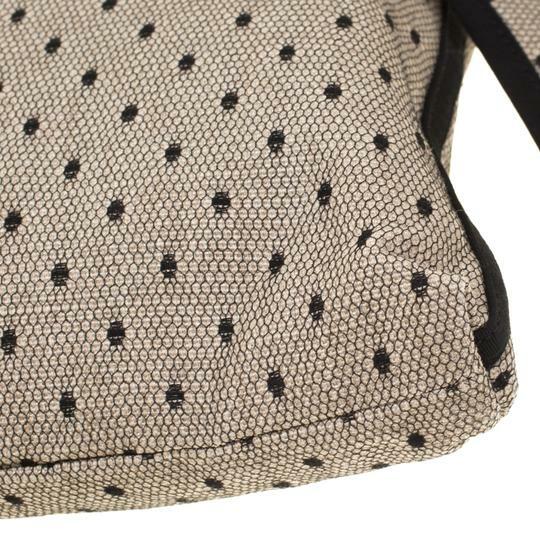 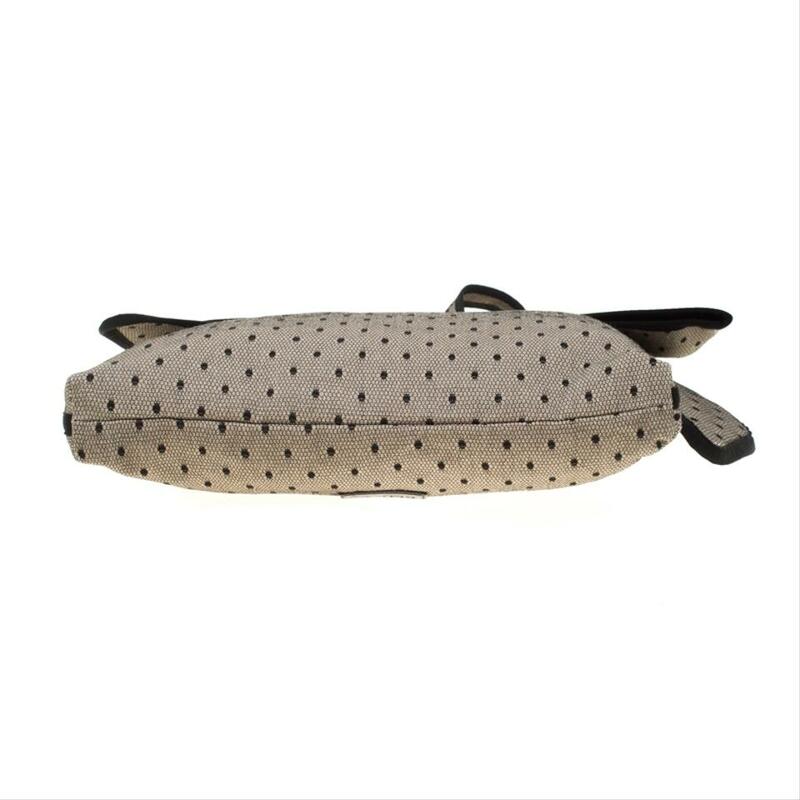 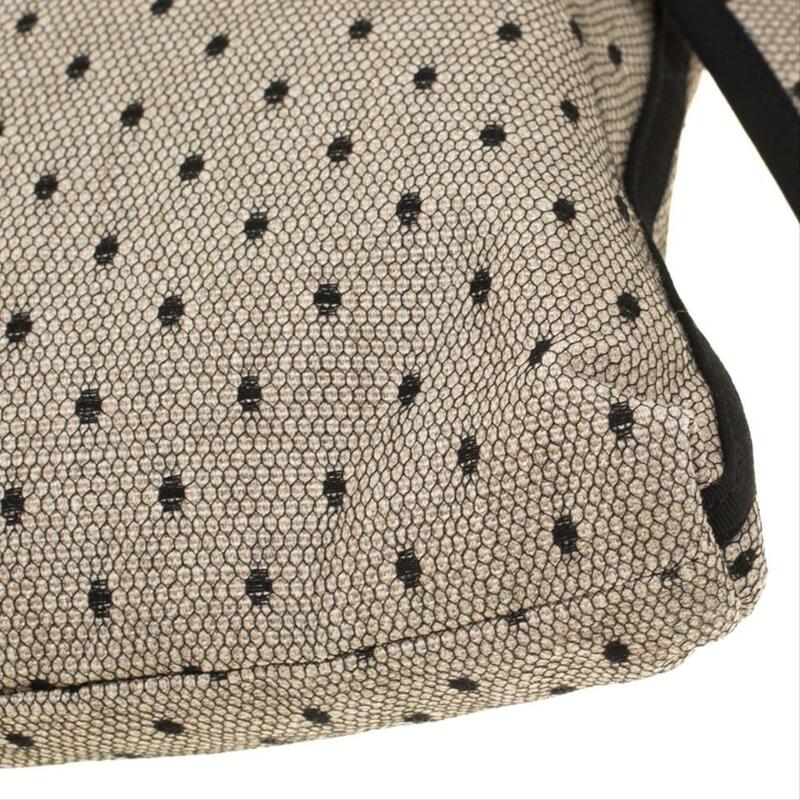 It has a canvas exterior covered in lace and a fabric interior sized to hold your essentials. 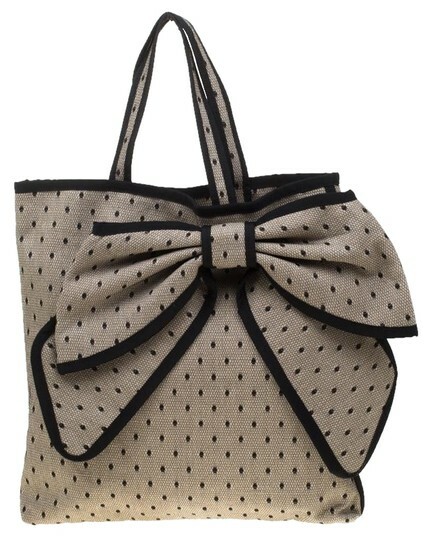 A bow detail and two handles make this tote ready.